Why So Loco? | Parlez-Vous Loco? This is where it all started, back in 2012. But I also get the occasional quizzical look. Or the “But how will you make money?” and “But you had a great job!” and “What will you do when you come back? The unemployment rate is 10 percent!” or even (inexplicably) “Why Paris?” (Really?) Believe me, those are all valid, realistic responses that I’ve asked myself over and over again. 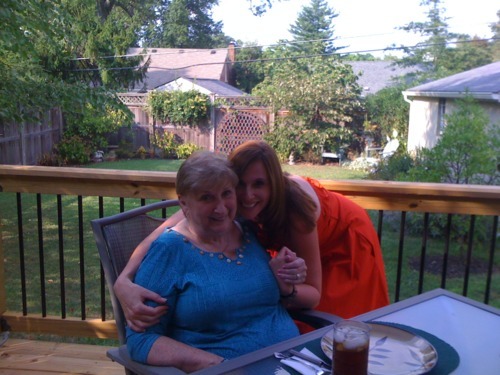 Here’s how I overcame all those worrisome thoughts: My mom died on December 30, 2010 and somewhere in the long, forgotten, sad year that was 2011, I was looking at pictures of her when she was exactly my age and it hit me: that went by fast. Like, really fast. So in the end, my decision was simple and my rationale as cliché as the day is long: life is short. I started thinking about what I wanted to look back on when I was 75, which was how old my mom was when she died. I thought about what I would do if I could do anything I wanted, and then I realized that as a single person with no kids, no mortgage payment, no car, no pets, and a skill I can take anywhere (writing), I could pretty much do anything, anywhere, for at least a little while. So why not? I’m no Oprah or Tony Robbins; for god’s sake, I’m not even a Kardashian or a Jersey Shore cast member. But if you found my blog and you’re still reading, you might be considering some sort of change, too, so I’d humbly offer this advice since I’m smack-dab in the middle of all this myself: pick a dream and go for it. Knit some mittens. Run a half-mile. Move to Nigeria. Make a flan. See how it goes, and drop me an email to tell me about it if you want some virtual support from a non-crazy stranger from the Internet. I have a whole list of dreams I’m working on, but Paris seemed like a nice place to start checking off the list. So 2012 is dedicated to the memory of my amazing mom. Alive, she probably would’ve been mortified by what I’m doing (“You need to save your money!”); now, I like to think she’s probably pretty stoked for me. You go, girl. I packed up and moved to France a number of years ago, too – and it was the most terrifying/growing/amazing year I had ever had. Wow – good for you! Loving your blog, btw…amazing photos! Page 1 and you made me cry!! Can’t wait to read more!!! What a magnificent thing you are doing! I am SOOOO happy to follow your blog. Your a masterful writer. I hope this note finds you just finishing your first novel so I don’t have to wait long to buy it. Better even you just send me the link to buy the e-book on amazon! MAZEL!!! Love what you’re doing. Thumbs up from someplace, not Paris. Way to chase it!